The Fright Land amusement park is on the verge of closing its doors forever. 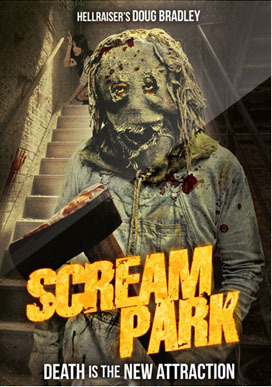 But the park's owner, Hyde (Hellraiser's Doug Bradley), has one last plan to sell more tickets... murder. Hiring two backwoods maniacs to break into the park and hack and slash all his employees, Hyde thinks these killings will create a media sensation, but he has just unleashed a horror that no one can survive. Also featuring Skinny Puppy frontman Nivek Ogre.